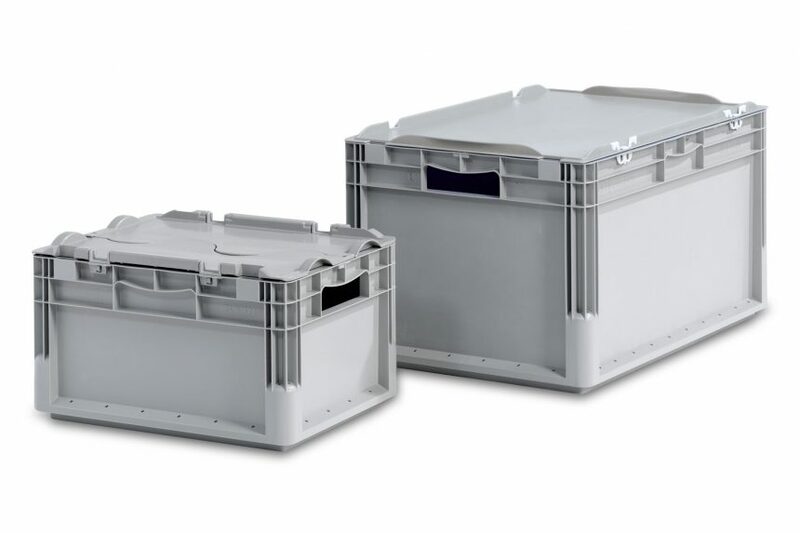 ELB straight wall containers are great for special applications, mail order items, food, or even electronics that need electro-static dissipative. Whatever the application, ELB can handle. With two attached lid options, items stay secure and dust-free. Plus, ergonomic molded side handles allow for easy lifting and carrying. Choose from three base options: smooth for manual handling, modular shelving, ribbed for quiet transport on conveyors, or reinforced welded base for heavy applications. *The Euro light container has a load capacity of 40lbs, and a max. stacking load of 500 lbs.